We all make mistakes--grownups and children alike. But little kids sometimes have trouble dealing with their mistakes, whether it's a piece of artwork they've torn by accident, or juice they've spilled on their favorite drawing. 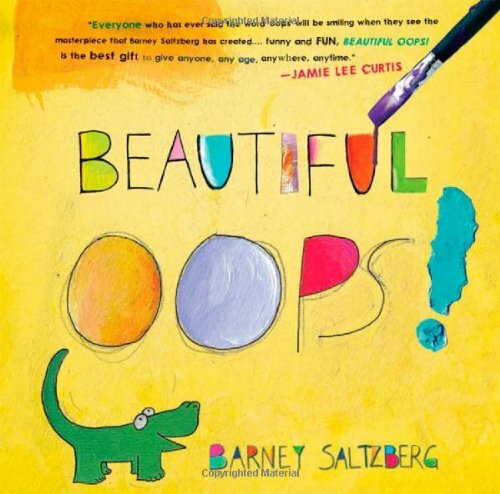 In this book,every page begins with a "mistake" that ultimately unravels, lifts-out, or pulls-up to become a surprising work of beauty.Kids see firsthand as they go through the book that any smudge, smear or stain can lead to something absolutelymarvelous-with a little imagination.Inspiring and inventive, this interactive board book teaches a valuable lesson: "when you think you have made amistake, think of it as an opportunity to make something beautiful!" children's books he has recorded two albums for children. Where, Oh, Where's My Underwear? and most recently The Soccer Mom From Outer Space! He has also written and produced songs for the PBS show, Arthur.